In my luxury porridge I have cocoa, vanilla and a little sugar. My toppings are sweet ripe banana and salted peanut butter. A match made in heaven. The only way this porridge could have been more perfect is with a drizzle of maple syrup… Mmmmm. How do you do porridge?! 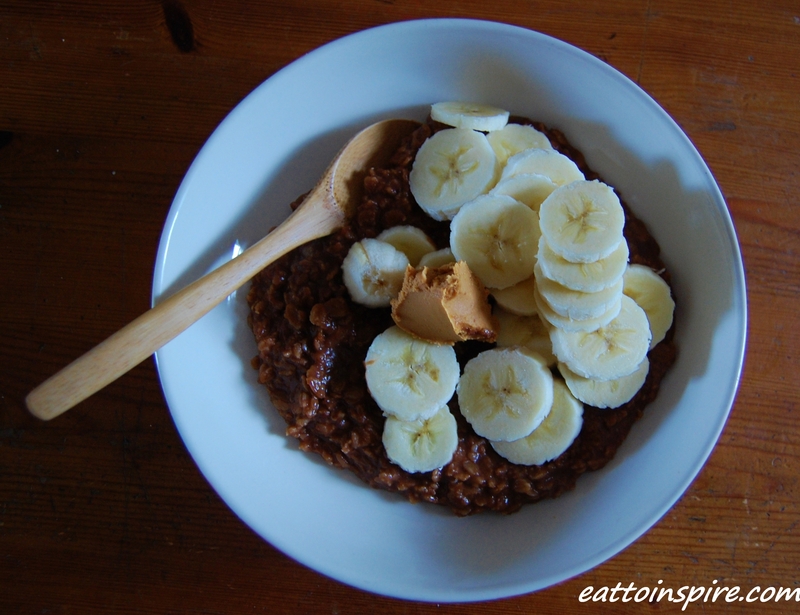 I haven’t done chocolate porridge before, but I often add banana and peanut butter! I also stir vanilla, shredded coconut and chia seeds through the oats and sprinkle the top with a little coconut sugar. Deeeeelicious!